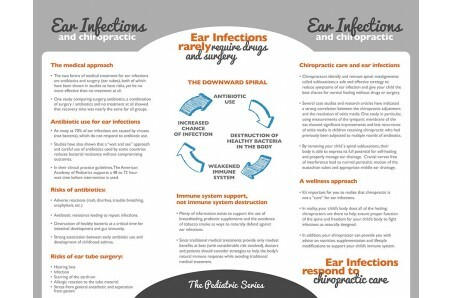 Drugs and surgery should not be the standard approach! 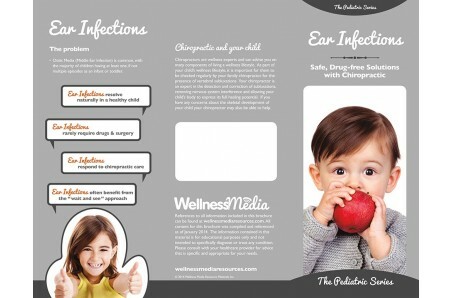 Show patients another solution focused on immune system support, not destruction, with this brochure. 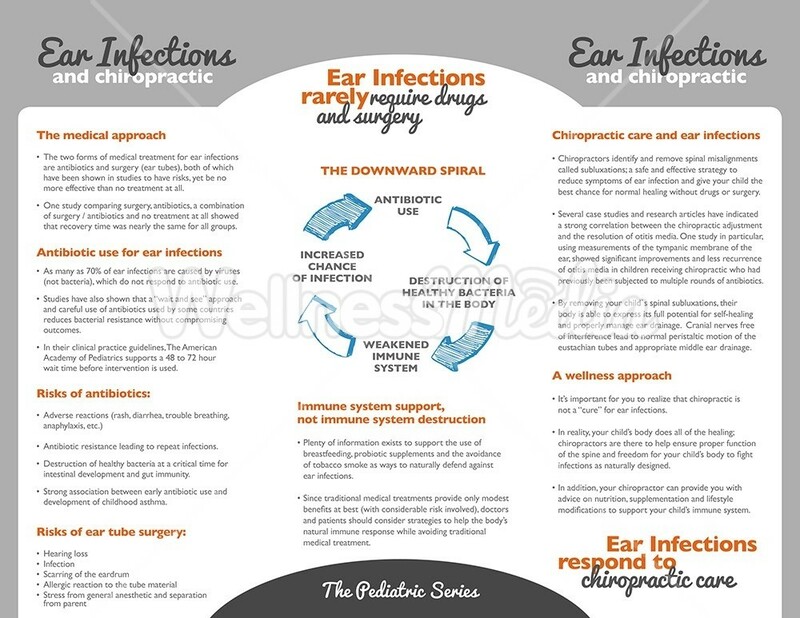 This brochure begins with the standard allopathic approach to management of ear infections, including the "downward spiral" that occurs with antibiotic use. 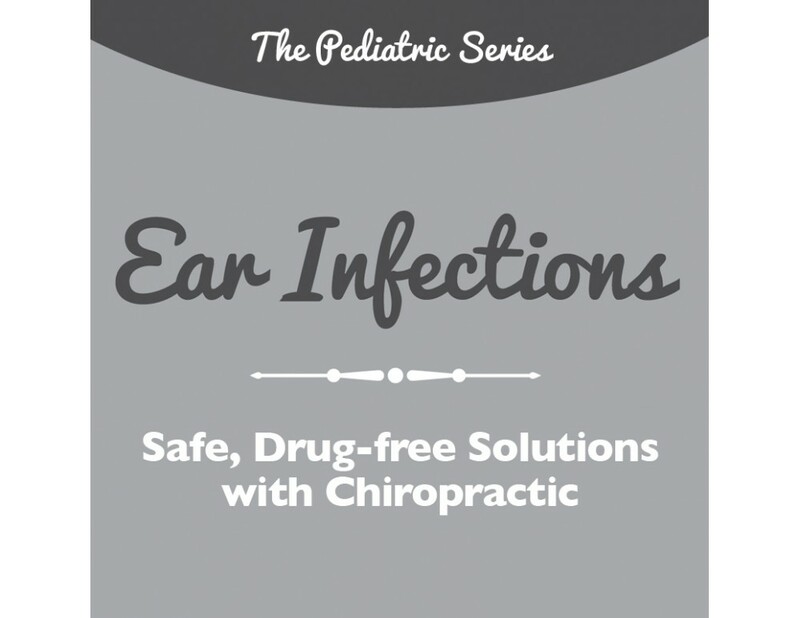 Next, the focus is shifted to a wellness approach to managing ear infections, including the role of chiropractic to support a child's body to fight infections as naturally designed.